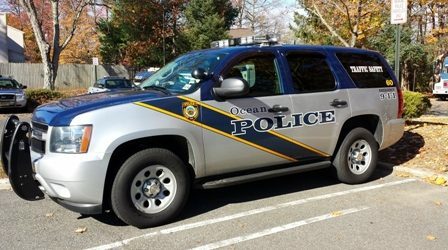 An investigation into what appeared to be suspicious activity in a 7 Eleven parking lot led to the drug possession arrest of man and woman, Ocean Township Police Department announced in a written news statement. Brady Taylor, 41, of Beachwood and Kasey Burket, 39, of Manahawkin, were charged with possession of crack cocaine, a hypodermic syringe, drug paraphernalia, and wandering for the purpose to obtain drugs. Officials said Det Michael Legg was in the area of the Deal Road convenience store near 1:23 p.m. Wednesday when he noticed the suspicious activity. Taylor was released on a summons, pending a future court appearance but Kasey, who remitted false information in an attempt to hide a fugitive from justice New York warrant, was remanded to Monmouth County Jail, pending an initial court appearance.